Last Fall kids in the CHAW after school Murals by Kids for Kids class painted a mural for the children in Nyumbani, an AIDS orpanage near Nairobi, Kenya. 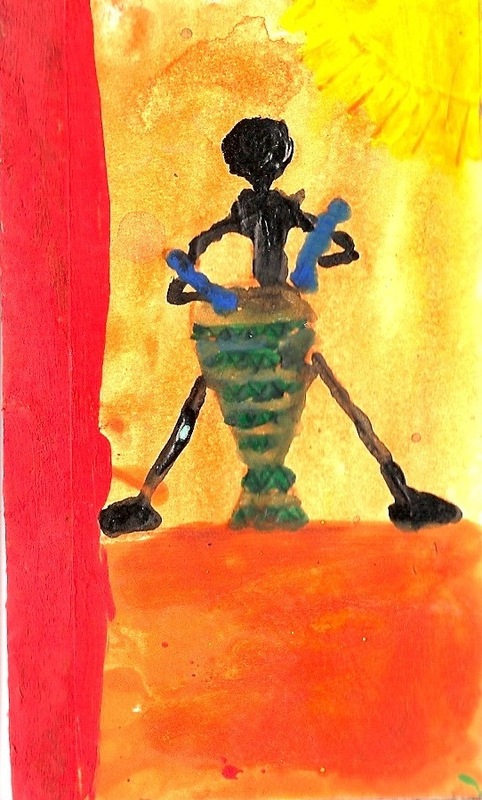 The children from Nyumbani sent about 50 pictures they had made. After looking at all of the pictures, the CHAW kids put them together into a mural and began to paint. 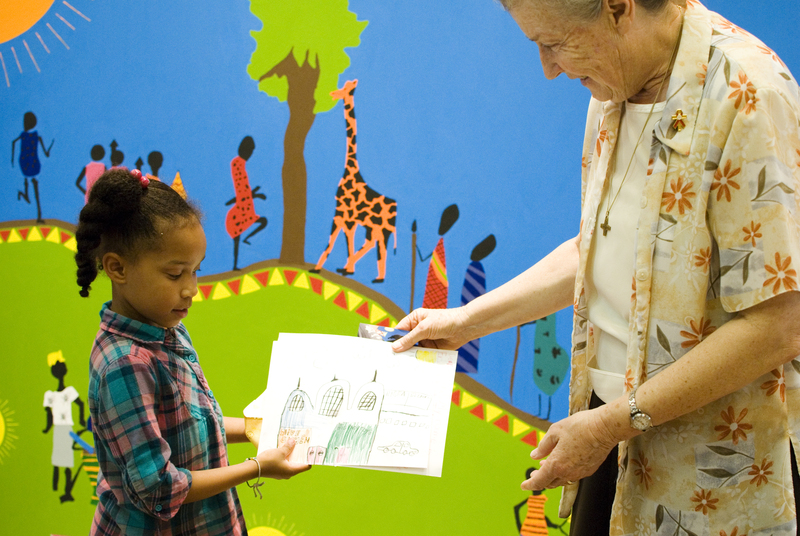 The kids were especially excited one day when Sister Mary from the orphanage came to CHAW with her friend, Ms. Lloydie, to telll them about the children there. Ms. Lloydie had many stories to tell. 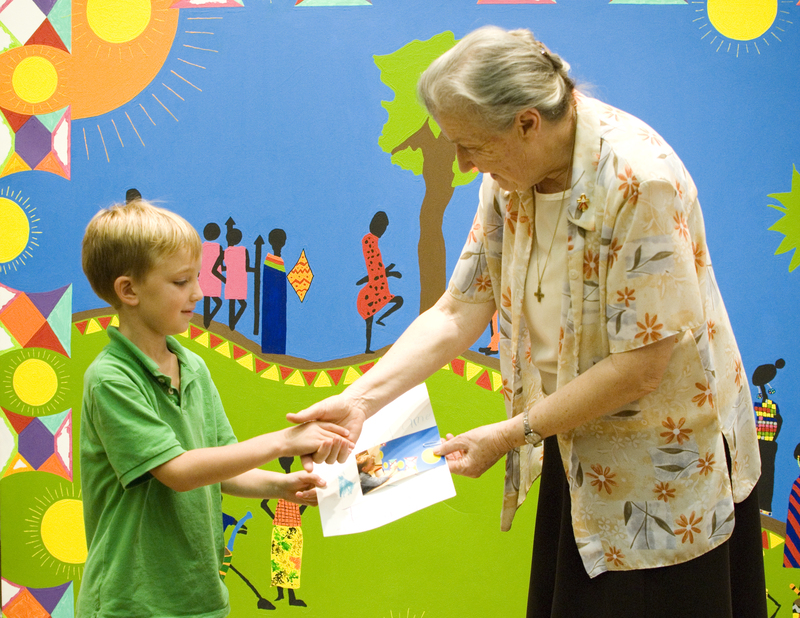 And the CHAW kids gave Sister Mary pictures and letters they had written for the children in Kenya. 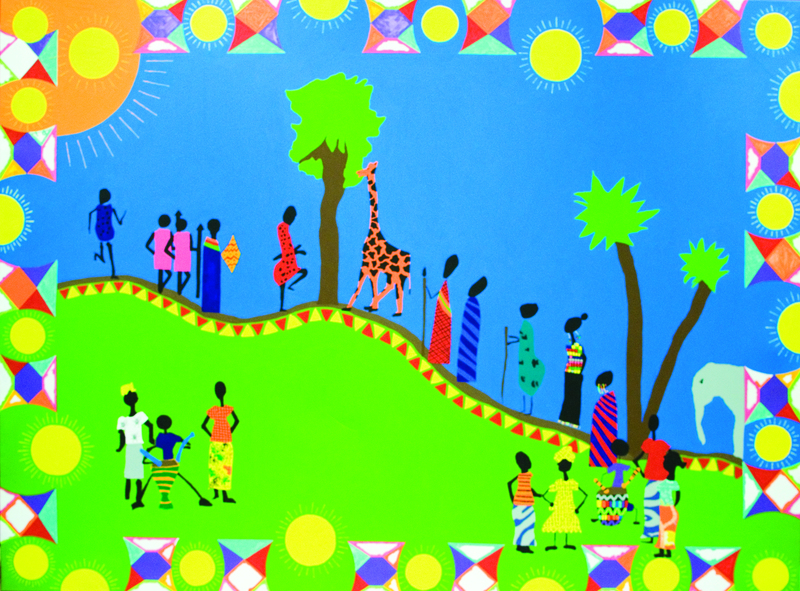 In January, the mural arrived in Kenya and the Nyumbani children found their own artwork in the mural!